In today’s digital economy, modern data network offers enterprises a competitive advantage by supporting the deployment of critical technologies such as AI/VR, IoT, cloud computing and holographic communications. 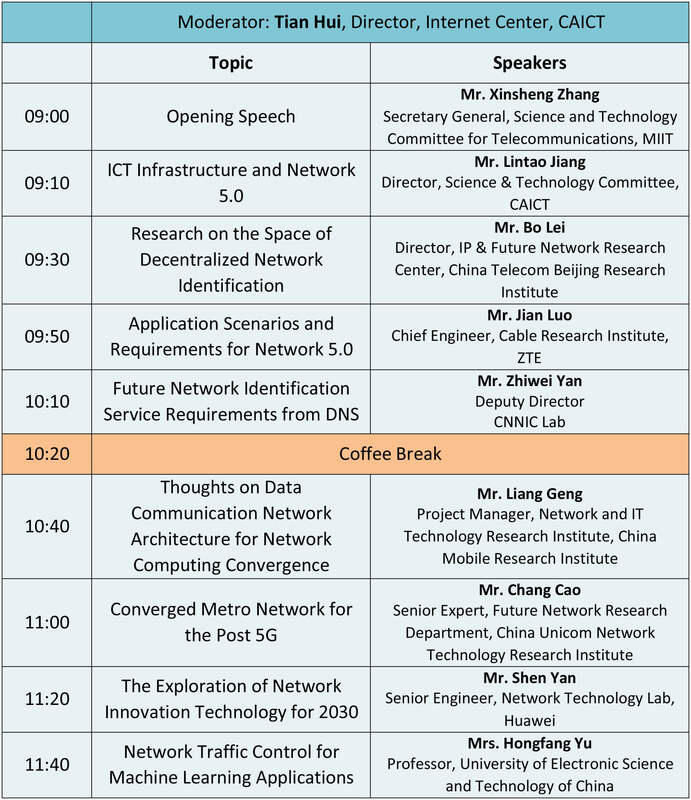 The NETWORK 5.0 Seminar held during the upcoming China SDN/NFV/AI Conference welcomes IT executives and engineers, to explore why you should consider transforming your network and how to do it successfully. Whether your organization is engaged in agricultural production, industrial manufacturing, or transportation, this timely event provides you with an outstanding opportunity to discuss the technical issues and challenges involved in the transformation process with global experts. Attendees will receive firsthand research findings, insights into the new network architecture and protocol systems, development of new business applications, plus much more. Don’t miss this important industry gathering for the enterprise networking community. Register today!